Prices, fees, cancellation process & reviews. With over 350 locations and 750,000 members, Goodlife Fitness is Canada’s largest fitness chain. Each club offers a wide variety of amenities including cardio and strength machines, mind and body classes, personal training, and sports’ courts. These facilities coupled with a goal of providing individualized attention to members has allowed the company to grow in popularity. But before you join, it is important to know how Goodlife Fitness performs. This article will provide a review of the company based on criteria such as locations, costs, amenities, and customer service. We’ve used Goodlife Fitness reviews created by users to get an overview of what this gym has to offer. There are about 350 Goodlife Fitness clubs. All but a few are located in Toronto, Canada. Though the company has become the largest fitness chain in Canada and the fourth largest in the world, the locations are concentrated in one area. Obviously, this makes it easy to find a gym in this area but limits access for everyone else. You can view more information in our Goodlife Fitness hours article. Each franchised club sets its own prices but the range of costs is about average for the industry. At some Goodlife clubs where there are a larger number of special amenities, you obviously get more for your money. At certain times during the year, some clubs waive the initiation fee for new members which also increases value. Here is an example of membership levels and costs. Most Goodlife Fitness reviews on this topic are very positive. 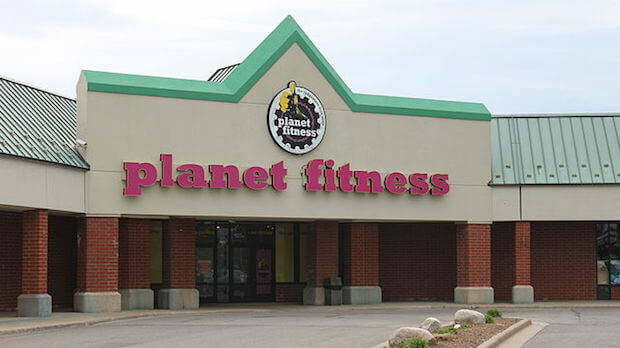 Members that their club is a nice gym that is kept up to date, and an excellent facility that is well worth the money. Some of the comments about the smaller facilities are that some equipment is worn and maintenance takes too long to be completed. These comments are in the minority. Reviews of the cleanliness all mention that all club areas are kept neat and clean. There are adequate facilities in the locker rooms and additions like soap, shampoo, hair dryers, and even irons and ironing boards. The only complaints revolve around the fact that there are not enough seats in the changing areas. This is a problem especially when people are using nearby lockers. Most people appreciate the privacy provided in the changing areas. There are numerous extra amenities at Goodlife Fitness clubs. The types of amenities vary depending on location but, where they exist, the sports’ courts, saunas, whirlpools, cold plunge, and Mind Den relaxation studio are all including with membership. Ride training and tanning sessions are available for a small fee per session. Members seem to enjoy the variety and diversity and rate these extras very highly. On Yelp, you can read an equal number of prositive and negative Goodlife Fitness reviews regarding the customer service, and they seem to depend on location. Many love the member desk staff and the professional trainers, and find them very helpful. On the other hand, there are an equal amount of complaints. Many negative Goodlife Fitness reviews appear when discussing the cancellation process. The problems are with the buyout/cancellation fee and the fact that it is not clearly explained up front. If you are in Canada and are seeking a club with a wide range of services, then Goodlife Fitness is probably the gym for you. The clubs are clean and well-maintained and you can generally find a location that is convenient for you. Many are open twenty-four hours, making it easy to fit a workout into your schedule. Costs are reasonable and agreements can be month-to-month. However, there are cancellation fees so you need to read the policy carefully before signing the agreement. Goodlife Fitness has created a comfortable, diverse, supportive environment for members and, for this reason, the club’s overall rating is 4/5.